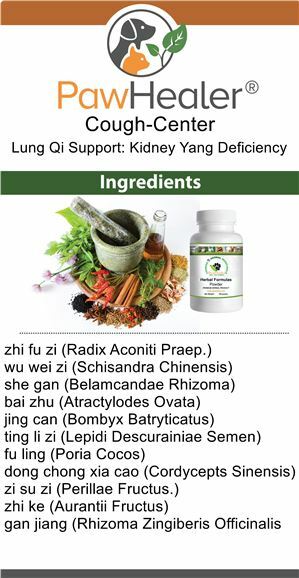 Causes of a Kidney Deficiency cough: This is a deficiency Traditional Chinese Herbal cough pattern. It is a progression from the weakness Spleen Yang Qi, to include the decline of Kidney Yang. Usually the cough is deeper and inhalation is difficult. Also patterns of aging may be more pronounced, such as weak hind-legs, leaking urine, and basically, aging. Can I give herbs to my dog while also taking other medicines? Yes, however we suggest that you give herbs and medicines one hour apart from one another so that you can get the full benefit of each. 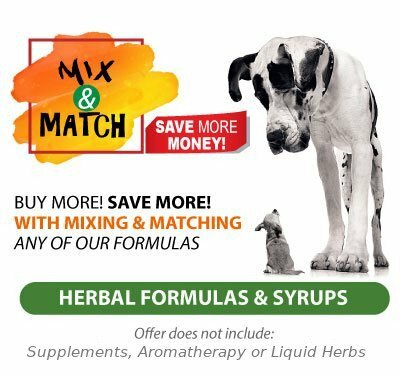 Always remember to tell your veterinarian what herbs you have decided to give your dog..this includes all supplements as well. This particular formula consists of herbs that are bitter tasting. So we recommend that you buy them encapsulated or buy the empty gel caps. To encapsulate is an additional $10 and this makes 200 capsules. If your looking for a cheaper solution, the empty gel caps are $5 for 200 caps. The option for capsules is presented to you at check out. The other option is by oral syringe...mixing enough water to dissolve the herbs and make a solution and using an oral syringe you can give it by squirting it down the very back of the throat. After a few times it becomes easier to use this method. These herbs are not beef flavored or anything like that...so take into consideration how you will be giving them to your fussy little dogs! How long does it take for these herbs to work? First, be aware, and we can't say it enough for this to work...dosage, dosage, and dosage. You must be consistent with the dosage, which means the full amount three times a day. People who follow this directive find more success for those who don't comply. Our clinical experience has demonstrated over and over to us that this is a critical element for herbal healing. Next. for success...YOU MUST FILL OUT THE PET SURVEY...because in order to make sure that you get the right herbs for your dogs cough, we must have that information. We use all different types of herbs...Not all dogs have the same cough. 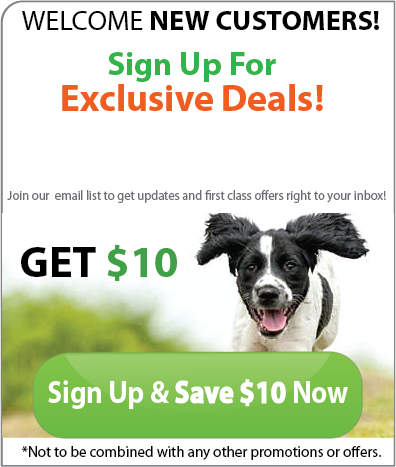 We review every survey and make sure your dog will be getting the blend that best suits your dogs situation. Next....diet is another important factor...we ask that you have your dog on home cooked food. All meat.....while your using the herbs. We feel that diet is the root cause and currenttly the indulstrilization fo the canine food has resulted in many diseases of phlegm. If you follow the directions as listed above...we see changes usually between 48 hours and 7 days. 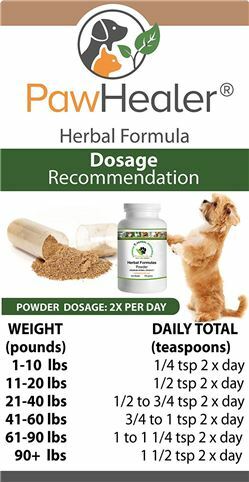 Our formulas for dogs are a combination of several Chinese herbs. These various herbs are used on adults, children and pets and they are considered very safe. These herbs are hospital grade herbs...that means they are used in US teaching colleges, Chinese hospitals and such....there is no such thing as canine grade herbs. 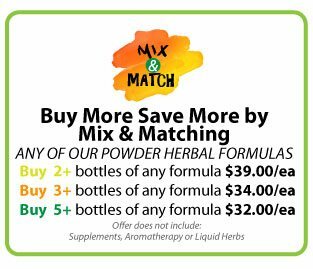 You and your dog can can share the herbs if you wish! If symptoms resume, then immediately stop the herbs. Should I tell my veterinarian that I am giving my dogs herbs? YES....its always important that all doctors know what we ourselfs are taking as well as our pets. Many people hide this information from their pet's doctor, we feel that you should be able to discuss the health of your dog openenly with your dogs primary physician, and if you can't and you feel intimiated, then you need to look for a doctor that you feel you can communicate with open and honestly. Not telling your vet is not the answer...the answer is working with a vet who understands your values and will work with you while ensuring the safety of your dog. 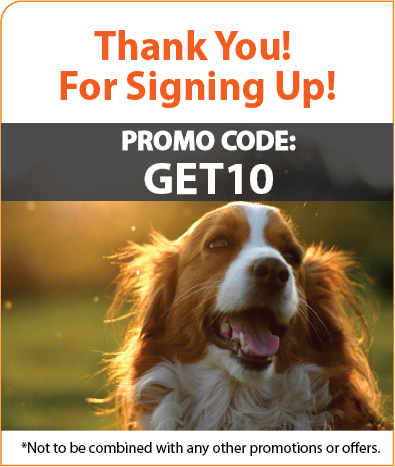 We would appreciate if you would share the success of the herbs with your vet....in the hopes that some day herbal medicine will have a much wider acceptence. This combo pack adds the Hound Honey Syrup with the Herbal powder and actually enhances efficiency. This is a must have product. This is a soothing blend of herbs and honey that helps sooth the lung system for symptoms associated with respiratory distress. When used with the Lung Qi-Support for Yang Deficiency pattern, it packs a powerful punch to add to your healing tool box. Paw-Zymes is a multi-enzyme blend of enzymes containing a combination of proteases, amylases, cellulases, lipases and others. 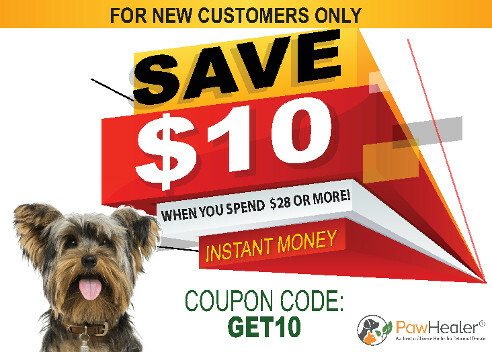 The product is specially formulated for the digestive system of dogs and cats. Paw-Zymes is very effective in the pH range of 3 to 9, working continuously throughout the pH variations in the digestive tract.